'Stories are something you carry with you, something to last your entire life, to be passed on to your children, and their children for evermore.' Duncan Williamson Duncan Williamson came from a family of Travelling People, who told stories around the campfire for entertainment and for teaching. As a child, Duncan learnt the ways of the world through stories: 'My father's knowledge told us how to live in this world as natural human beings -- not to be greedy, not to be foolish, not to be daft or selfish -- by stories.' In this collection, he passes on some of these wonderful children's folk and fairy tales. For over sixty years Duncan travelled around Scotland -- on foot, then in a horse and cart, and later an old van -- collecting tales, which not only come from the Travelling People but from the crofters, farmers and shepherds he met along the way. 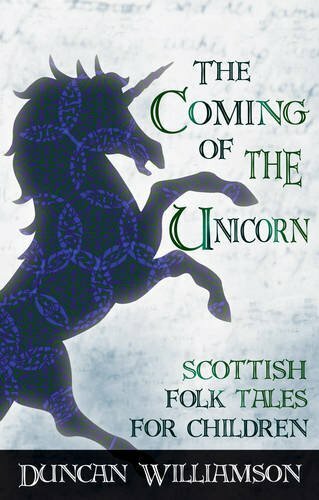 This collection includes tales about cunning foxes and storytelling cats, hunchbacked ogres and beautiful unicorns, helpful broonies and mysterious fairies.